From Benghazi to small government only when they want it to be, the GOP continues to live up to the label that Louisiana Governor Bobby Jindal called it when he said that they needed to stop being the “stupid party”. But not even Bobby Jindal is immune to the stupidity as he unleashes more horrible legislation on the state (which is even worse than how I described it last week). So today I review the stupidty and show why Bobby Jindal is the person spearheading the increase of stupidity in the party instead of the one eliminating it. 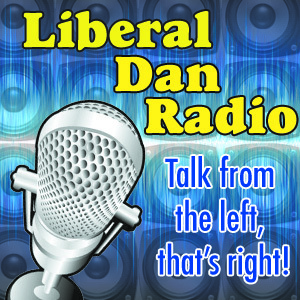 Those issues, headlines, tweet of the week and more at Wednesday 8pm Central on Liberal Dan Radio: Talk From The Left, That’s Right. I will discuss Hobby Lobby and their views on birth control. That is it. The entire hour will be devoted to the problems and flaws that the Hobby Lobby case has and the arguments made before the Supreme Court. See the previous blog post for more information on where I will be coming from on the podcast. So tune in at 8pm Central and/or download the podcast afterwards. I don’t believe that corporations should be considered people. As such they should not be considered to have faith, beliefs, or any sort of spiritual holdings that would be protected under the law. The feelings and beliefs of the owners should be considered to be distinct from the operation of the business. Sure, the owners can choose to serve certain markets by only producing kosher foods or by keeping closed on whatever day your religion feels should be the day of rest. But the corporation, in and of itself, should not be able to claim religious holdings. But let’s just assume for a second that SCOTUS would be open to holding that the beliefs of the corporation cannot be considered distinct from the beliefs of the owners. This is a fairly conservative court and I can see that line of reasoning, as flawed as it might be, as being one that would potentially come up in a decision supporting the idea that a business cannot be forced to provide insurance that provides services or drugs that are in violation of the religious beliefs of the business owners. Remember, I equate premiums paid in lieu of salary to be no different than salary itself and as such any premiums paid should be considered as being paid for by the work provided by the employee and not as being paid for by the employer. So it is ultimately my assertion that any claim that a business is paying for oral contraception provided by health insurance received in lieu of salary is a false claim because it is paid for by that employee and that employee only. However, if SCOTUS would come to a ruling that the Affordable Care Act could not require benefits provided in lieu of pay to violate the religious beliefs of the owners then the persons bringing such a suit (in this case Hobby Lobby) should be required to prove that they are being harmed and as such that the requirement that each plan provide oral contraception at 100% first dollar is, in fact, a violation of their belief systems. So what is Hobby Lobby claiming here? Well, in their open letter they believe that the Affordable Care Act is requiring them to provide “abortion causing drugs”. To me, in order for them to not have their case thrown out, they should have to prove that the drugs that their employees get in lieu of salary are, in fact, abortion causing drugs. The simple answer is that they obviously are not abortion causing drugs. Oral contraception does not work if you are pregnant. However, there is an archaic and often repeated belief that birth control pills can prevent implantation of an already created embryo. While this would not technically be considered an abortion, it would still be a violation of the beliefs of the owners of Hobby Lobby who would believe that artificial means of preventing an embryo from implanting would be morally equivalent to abortion and as such a sin in their eyes. Unfortunately for them studies have been done that show no such thing as being true. There is no evidence that oral contraception prevents implantation. Oral contraception only prevents ovulation or fertilization. So in order to not have their case thrown out and prove that they have been harmed by the Affordable Care Act, Hobby Lobby should be required to provide data that contradicts these studies in a meaningful way. They should be required to show that the law is, in fact, requiring them to cover abortion causing medications. If they cannot do this (which I suspect they cannot since I can find no contradictory study to the one sighted in the NY Times) then the case should be thrown out on its face. Hobby Lobby can prove no harm here because it cannot prove the drugs the plans provided for their employees in lieu of pay cause abortions. As such they can prove no violation of their beliefs. *Made some minor edits, removing arguments about “standing” because I don’t want the argument to be about what standing is. The argument should be focused on what Hobby Lobby should be required to prove.